The EUR/USD currency pair keeps moving upwards. 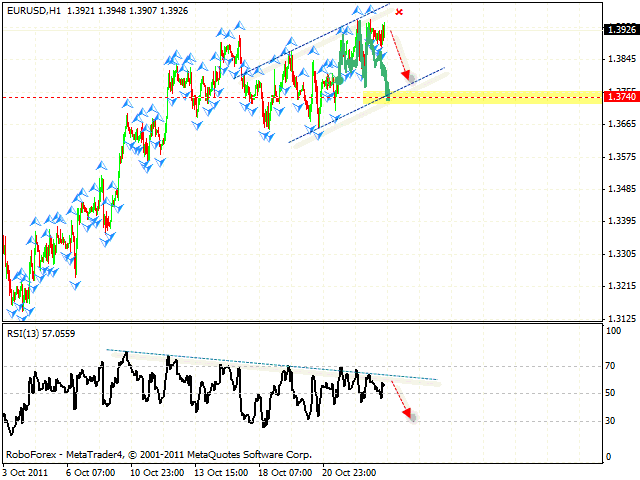 Currently the pair is moving inside the rising channel at the H4 chart. The closest target of the fall is the channel’s lower border. The price testing the trend’s descending line at the RSI is an additional signal to sell the pair. One can consider selling it with the tight stop above 1.3960. If the price reaches a new local maximum, this case scenario will be cancelled. Pound continues reaching new local maximums. The RSI faced the resistance from the trend’s line, we should expect the pair to fall to the channel’s lower border in the area of 1.5890. 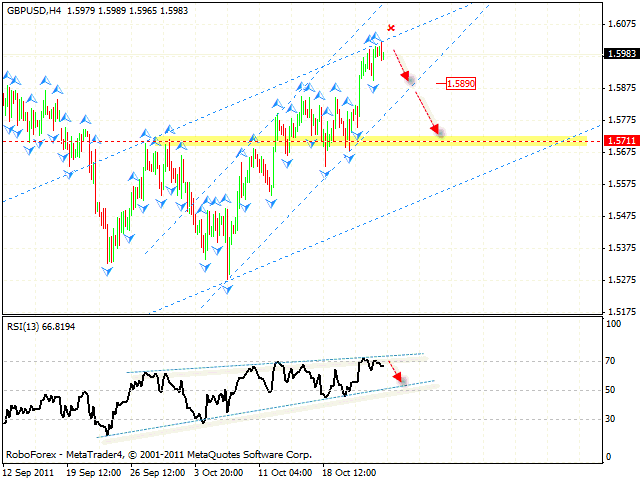 If the price breaks the channel’s border, the target of the fall will be the area of 1.5710. One should also take into consideration the fact that the price is forming the descending pattern at the daily chart of the pair. The weekly chart of the pair indicates that the descending movement continues. 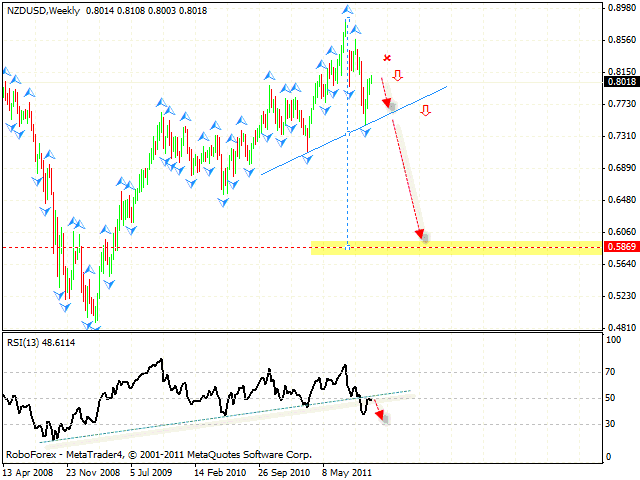 The RSI is testing the trend’s broken line, we should expect it to rebound downwards. Also, here we have “head & shoulders” reversal pattern forming with the target in the area of 0.5870. One can consider selling the pair with the tight stop, if there are reversal patterns at shorter periods of time. At the daily chart of the pair the market continues forming the descending pattern with the target in the area of 0.7190. The price is testing the channel’s upper border, one can consider selling the pair with the tight stop. If the price leaves the channel, we will recommend you to close short positions on the pair. 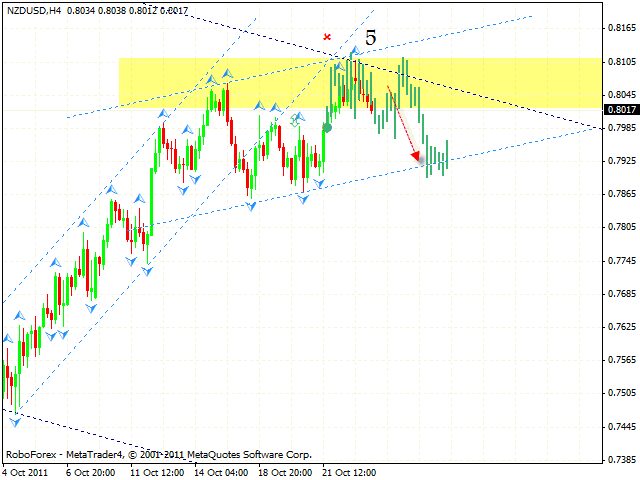 NZD/USD, Timeframe H4. The price is moving inside the rising channel, one can consider selling the pair with the tight stop above 0.8105. 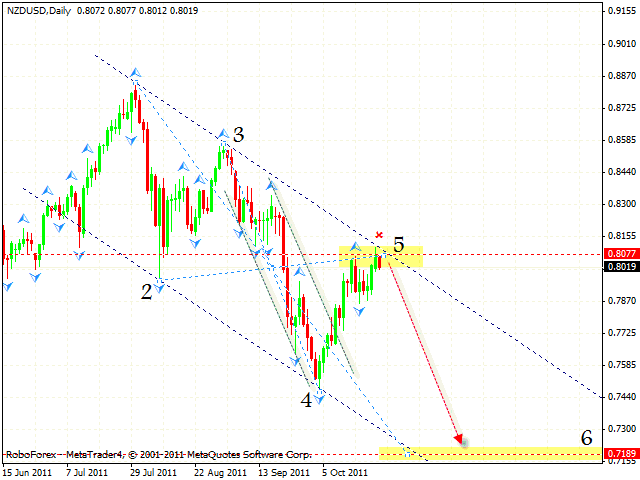 The target of the fall is the area of 0.7925. If the price breaks the channel’s upper border, this case scenario will be cancelled.